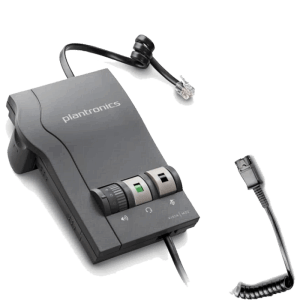 Plantronics Binaural Headsets - Headsets Direct, Inc. When it’s important to help filter or screen out background sound, you should consider over-the-head binaural headsets, such as the Plantronics CS520 wireless headset or the Plantronics HW520 corded headset with an amplifier. 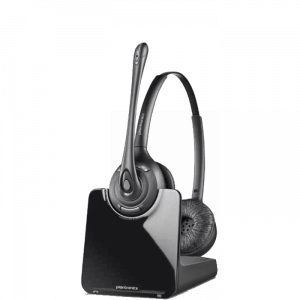 These styles provide sound transmission to both ears and allows the user to completely concentrate on the caller while lowering background noise. 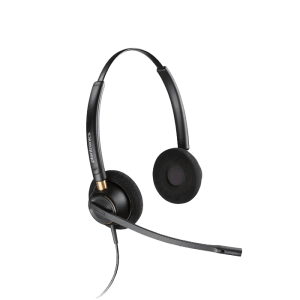 For a corded Plantronics headset solution, the Plantronics HW520 binaural headset with the Plantronics M22 amplifier will provide an excellent solution which will work with most corded telephones.